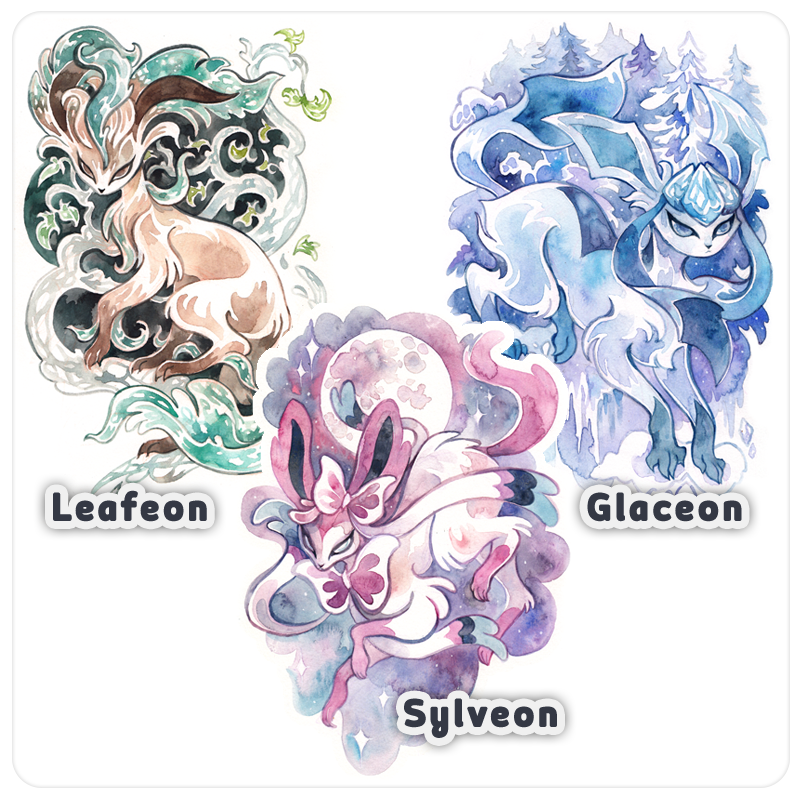 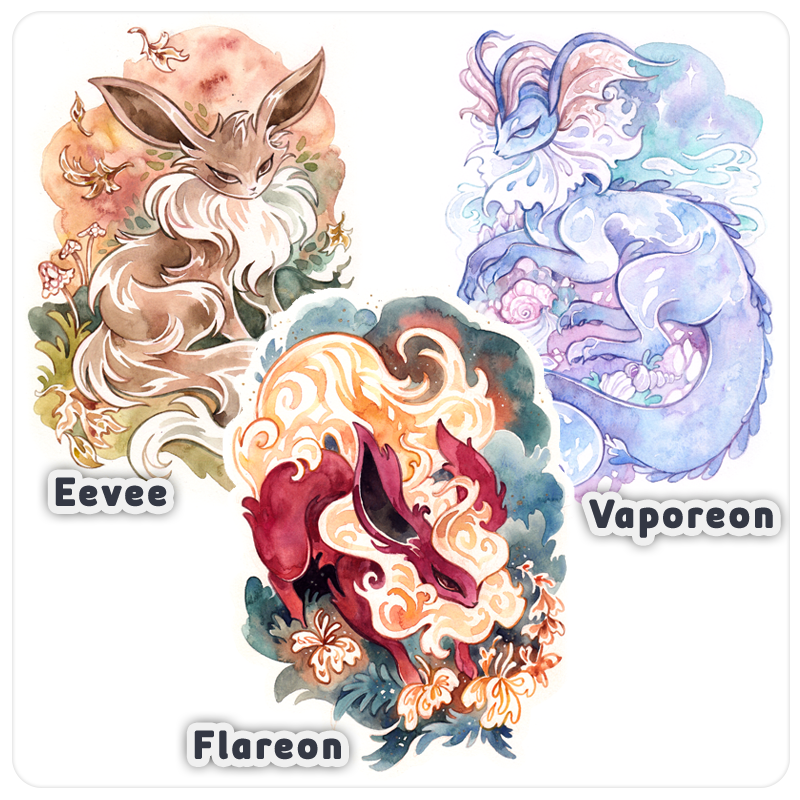 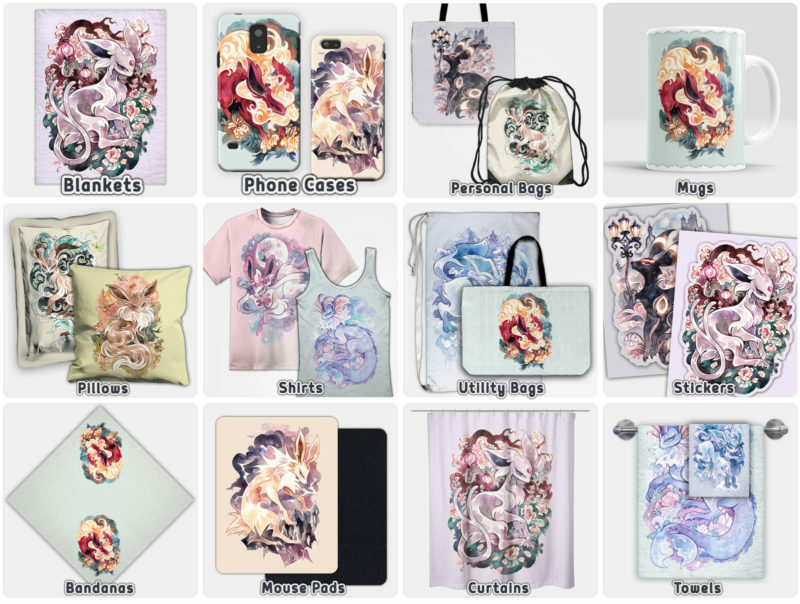 A perfect fit for any pokemon trainer with an Eevee in their party, this fantastical set of illustration by Cryptovolans features every elemental eevee yet discovered! 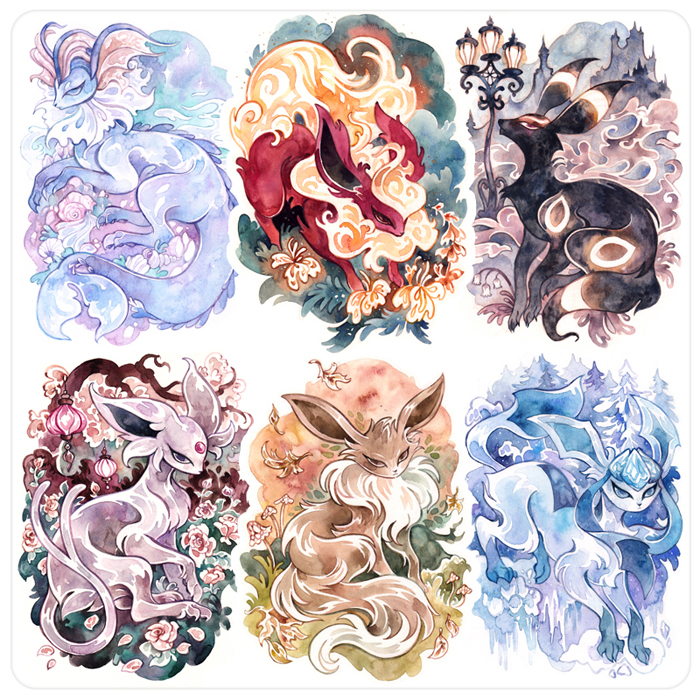 Flareon, vaporeon, jolteon, leafeon, glaceon, umbreon, espeon, sylveon, and a baby eevee! 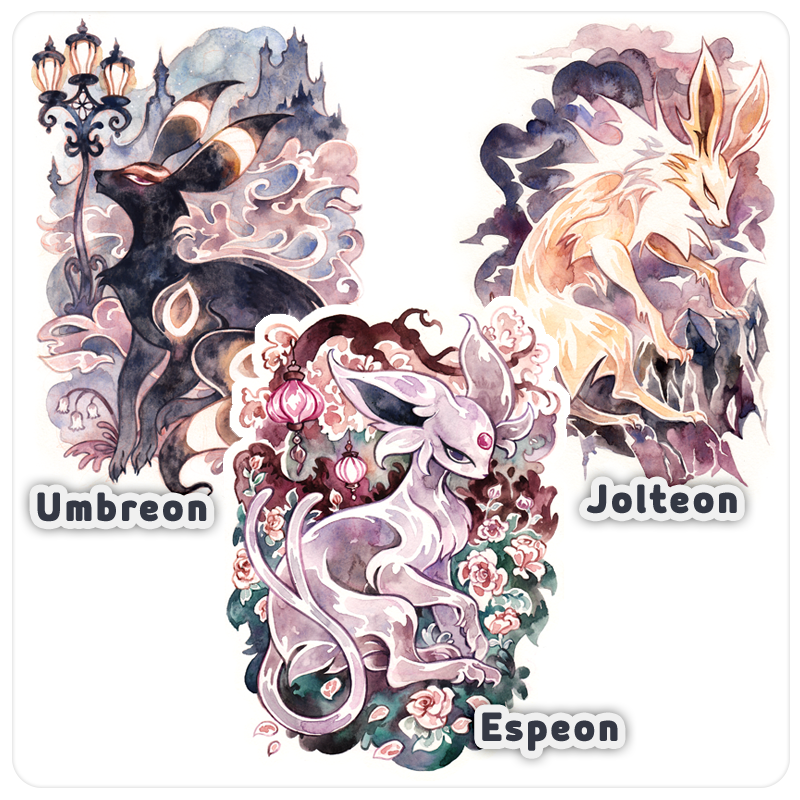 Make your eevee proud and show off your trainer pride with any of these great items!